19 Apr 1937, On Saturday afternoon the prefects and old scholars of St Margaret's School at Berwick entertained a number of friends at a tennis party, concluding with a dance at the school in the evening. [S35] Probate Records, PROV (Public Records Office Victoria), VPRS 28/ P24 unit 390, item 1090/693. [S35] Probate Records, PROV (Public Records Office Victoria), Probate - With Cod GRIFFIN WARWICK JAMES STOKEL died 22/08/1994 1090/693 28 / P 24 / 390 S PRB 1994 11625. [S62] Western Australian Government. BDM Index Western Australia "Griffin Warwick J S Male Perth 1647 1911." [S14] Newspaper - Western Mail (Perth, WA : 1885 - 1954), Sat 21 Oct 1911, p50. [S11] Newspaper - Argus 18 Jan 1943, p6. [S11] Newspaper - Argus 18 Jan 1943 p6. CASSIA, WALL NICHE DUAL/SINGLE - PARTIAL CR'S, WALL BH NICHE 140S. [S134] Electoral Roll for Australia, 1934 "only Warwick's listing as Kamarooka." [S11] Newspaper - Argus 8 Nov 1929, p18. [S11] Newspaper - Argus The Argus (Melbourne, Vic. : 1848 - 1957), Mon 19 Apr 1937, p3. [S218] Newspaper - The Dandenong Journal (1927-1954) "The Dandenong Journal (Vic. : 1927 - 1954), Wed 11 May 1938, p4." [S11] Newspaper - Argus 26 Apr 1941 p7. [S218] Newspaper - The Dandenong Journal (1927-1954) "The Dandenong Journal (Vic. : 1927 - 1954), Wed 3 Feb 1943, p2." [S14] Newspaper - The Mail (Adelaide, SA : 1912 - 1954), Sat 1 Oct 1949, p36. Francis Joseph Griffin (Captain) was a commercial traveller, aged 34 and married with two children when he enlisted on 16 Aug 1915. He was already a Lieutenant. SERN Officer W3967. His unit, the 11th Battalion, 13th Reinforcement, embarked from Fremantle on 17 Jan 1916, on board HMAT A30 Borda. He was promoted to Captain on 28 Apr 1916. He was severely wounded in July 1916, leaving him with a fractured ulva in his elbow. He returned to Australia for a change, and returned to the front in 1917. He appeared at a Court Martial in 11 Apr 1918 for being drunk and was severely reprimanded. He was sentenced to take rank and precedence in the AIF, as if his appointment as Captain bore the date of 28 Oct 1917 (rather than 28 April 1916), and to be severely reprimanded. Period under charge 25 days. Death-Notice* 14 Jun 1965 GRIFFIN.-On June 11, at Repatriation General Hospital Heidelberg, Francis Joseph Griffin, of "Stoke Lea", Mt Eliza, loved husband of Jane, loved father of Warwick, Malcolm (deceased), and Margaret (Mrs Haigh), grandfather of Paul and Georgina. Requiescat in pace. GRIFFIN.-On June 11, Francis Joseph Griffin, loved father of Warwick, loved father-in-law of Susan. 29 Sep 1916, CAPT. FRANK GRIFFIN. 20 Feb 1922, Death of father: GRIFFIN.—On the 19th February, George A. S. Griffin, of "Stanmore," Westbury street, East St. Kilda, the dearly beloved husband of Mary Griffin, father of Frank, James, George, Stan, Roger, Donald, and Winefride, Emma, Louise, and Mary Griffin. 27 Mar 1929, TOURIST ROAD WANTED. 24 Jun 1930, HARDWOOD FRUIT CASES. TO THE EDITOR OF THE ARGUS. Sir,-Mr. G. J. Aldwinckle is entitled to prefer hardwood to softwood cases, but why adopt such a selfish attitude as to want to penalise further the great number of growers - probably a majority - who prefer softwood, in hoping that a further duty will be imposed on their importation? One reason advanced - that Victorian millers should be given a chance to show what they can do - sounds rather feeble when they have had the field entirely to themselves for more than 30 years and cannot yet produce anything better than that provided this season. Mr. Aldwinckle has either been particularly fortunate in ob- taining perfect cases or else he is very easily satisfied. Why should a grower not use a softwood case if, in his opinion, it presents his product in a more attractive form? Whether the fruit brings more in one container that the other is beside the question. Naturally the user of the more expensive case hopes to obtain a better price. Many factors over which neither the grower nor agent has any control regulate the price realised on home markets. 18 Apr 1950, BEACONSFIELD UPPER. Today's Auction of Kamarooka, Upper Beaconsfield, is CANCELLED. 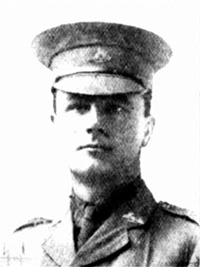 [S33] Australian Government: http://www.naa.gov.au/collection/search/index.aspx, [GRIFFIN Francis Joseph (Captain) : Service Number - NA : Unit - 11th Battalion, Australian Imperial Force : Date of Court Martial - 11 March 1918] A471, 18953. [S30] Nominal Roll, Australian War Memorial - WWII, http://www.ww2roll.gov.au/, Roll of Honour. [S65] Ancestry - various indices, Ancestry.com. Scotland, Select Births and Baptisms, 1564-1950 [database on-line]. Provo, UT, USA: Ancestry.com Operations, Inc., 2014. FHL Film Number: 232667 Reference ID: v 625-1 p 27. [S3] Registry of Births Deaths and Marriages Edwardian Index Victoria 1902-1913 "#M892." [S185] Property Titles. ; PROV (Public Records Office Victoria), C/T 7413-421 - Francis Joseph Griffin of Beaconsfield Upper Orchardist. [S185] Property Titles. ; PROV (Public Records Office Victoria), C/T 7413-421 - Margaret Dunlop Darling of Geelong Church of England Grammar School Corio Married Woman. [S5] Registry of Births Deaths and Marriages Death Index Victoria 1921-1985 "#D12048 age 84 [par George Augustus & Mary LYNCH]." [S16] Newspaper - The Age 14 Jun 1965, p10. [S83] Online index to the UK census "Parish: Bothwell; ED: 5; Page: 22; Line: 1; Roll: cssct1881_203." [S116] Electoral Roll for Australia, 1916 "Jennie at 59 Malcolm Street." [S117] Electoral Roll for Australia, 1917 "Jennie at 59 Malcolm Street." [S154] Electoral Roll for Australia, 1954 "as Jennie." [S163] Electoral Roll for Australia, 1963 "as Jennie." [S14] Newspaper - The West Australian (Perth, WA : 1879 - 1954), Thu 13 Apr 1911, p4. [S14] Newspaper - The Daily News (Perth, WA : 1882 - 1950), Fri 9 Jun 1916, p3. [S14] Newspaper - Western Mail (Perth, WA : 1885 - 1954), Fri 29 Sep 1916, p26. [S16] Newspaper - The Age The Age (Melbourne, Vic. : 1854 - 1954), Thu 19 Sep 1918, p8. [S11] Newspaper - Argus 20 Feb 1922 p1. [S11] Newspaper - Argus The Argus (Melbourne, Vic. : 1848 - 1957), Tue 5 Jun 1928, p10. [S11] Newspaper - Argus 27 Mar 1929 p5. [S11] Newspaper - Argus 24 Jun 1930 p14. [S11] Newspaper - Argus 5 Apr 1950, p12. [S11] Newspaper - Argus 18 Apr 1950, p15. 5 Jul 1923, Dance at Upper Beaconsfield. At the invitation of Lt.-Col. and Mrs. G. H. Knox, a number of their friends from Upper Beaconsfield and the surrounding districts, and also Melbourne were present at the delightful dance held in the Assembly Hall, Upper Beaconsfield, on Friday evening, June 22. The guest of the evening was Miss K. Bird, cousin of the hostess, who is on a visit from England, and the dance was given in honor of her twenty-first birthday. The supper room of the hall was converted into a cosy lounge, with easy chairs, carpets, and a glowing fire. Bridge tables were provided for non-dancers. On a large table in the supper-room was arranged a buffet supper. The hall was gaily decked with cerise and violet streamers festooned from a centrepiece arranged with hoops of paper flowers of the same color and greenery. Tall oriental lamps and festoons of greenery, with cerise flowers, made a very effective screen round the dias, on which the musicians were seated. Mr. K. R. Pinkerton (of Berwick) was responsible for the artistic decorations of the hall. At 10 p.m. the guests retired to Salisbury House, opposite the hall, to partake of a sit-down supper. After midnight a large birthday cake, with twenty-one candles burning brightly on it, was carried into the hall, and cut by Miss Bird. The hostess (Mrs. G. H. Knox) wore a gracefully draped frock of apricot changeable taffeta, caught at the side with monkey fur: she carried an Early Victorian posy of autumn tints. Miss K. Bird was dressed in dainty mauve taffeta, with panels of Valenciennes lace, and a deep collar of georgette edged with similar lace. Among the guests present were.—Messrs. R. Knox (Melbourne), Dare (Melbourne), Lester, Beauchamp, Capt. Tate, Messrs. J. F. Sturken, Bunt, Day, K. R. Pinkerton, J. Swords, R. Glover, Berglund, Carsewell, Lorimer, Brown, McBride, E. Blain, Seely, Harvey Smith, Cant, Reed, Lester, Miss Margaret Clarke (Melbourne), flame-colored crepe de chine, with tulle pointed overskirt. Mrs. E. W. Harris, blue marocain, with flowing ninon sleeves, blue wreath. Miss Margaret Crossley, mauve crepe de chine, satin waist-line caught with cabachon of violets. Mrs. Beecham (Scoresby), blue shot taffeta, draped skirt, caught at sicie with handsome cabachon of feathers. Mrs. Lister (Scoresby), black crepe de chine, with jet trimmings. Mrs. R. P. Frances, black tulle, beaded with jet and iridescent beads, beads over crepe de chine. Mrs. John Sturken, brocaded crepe de chine, white waist-line finisher with pearl girdle, long ninon sleeves. Mrs Harvey Smith, black taffeta inlet with lace, finished at waist with gold and jet girdle. Mrs. Bunt, black charineuse, with silver trimmings. Mrs. James Wilson, black crepe de chene with steel trimmings. Mrs. P. C. Anderson, blue shot taffeta, with pink flowers at waist and in hair. Miss Campbell, black crepe de chine with black lace. Miss Towl (Melbourne), apricot charmeuse pointed skirt, finished at waist with same color. Miss Cunningham, powder blue georgette Miss Walker, slate grey silk, black tulle sash, deep collar Maltese lace. Miss Peterson, eau-de-nil cachemire de sole. Miss Shorthouse, shot taffeta, pink finished with flowers at waist. Miss King, shot pink, with tulle trimmings. Mrs Cyril Davey, pretty white georgette, with pointed skirt over crepe de chine. [S1] Registry of Births Deaths and Marriages Pioneer Index Victoria 1836-1888 "registered at Melbourne." [S167] Electoral Roll for Australia, 1967 "as Jennie." [S168] Electoral Roll for Australia, 1968 "as Jennie." [S14] Newspaper - Table Talk, 5 Jul 1923, p36. 17 Feb 1945, GRIFFIN.-Cherished memories of Malcolm, who died at Lae, New Guinea, February 18, 1944, the dearly loved younger son of Francis and Jane Griffin, Kamarooka, Beaconsfield Upper. GRIFFIN.-In loving memory of VX14403. 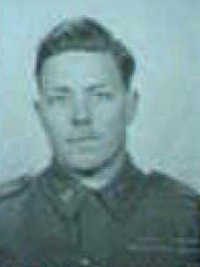 Lance-Bombardier George Malcolm, 2/4 Aust. Field Regiment, beloved brother of Warwick and Margaret, who died at Lae, New Guinea, February 18, 1944. [S62] Western Australian Government. BDM Index Western Australia "Griffin George M Male Perth 2111 1914." [S14] Newspaper - Western Mail (Perth, WA : 1885 - 1954), Fri 4 Dec 1914, p31. [S61] Upper Beaconsfield History Archive ,"from an interview with his sister Margaret 'Peg' De Serville in June 2000." [S11] Newspaper - Argus 26 Feb 1944 p2. [S11] Newspaper - Argus 5 Mar 1934, p3. [S11] Newspaper - Argus 17 Feb 1945 p2. [S11] Newspaper - Argus 18 Feb 1947 p2. [S11] Newspaper - Argus 18 Feb 1949 p9. [S11] Newspaper - Argus 18 Feb 1950 p13. [S9] Free BMD. Index. Online @ https://www.freebmd.org.uk/ "Jun Q [Bolton] 8c 507." [S11] Newspaper - Argus 24 May 1941 p4. [S11] Newspaper - Argus 28 Jun 1926, p18. [S218] Newspaper - The Dandenong Journal (1927-1954) "The Dandenong Journal (Vic. : 1927 - 1954), Thu 8 Nov 1934, p4." 7 Apr 1955, GREENWOOD.—On April 6, at her daughter's residence, 8 Pine avenue, Camberwell, Jane, beloved wife ot the late Rev. Thomas William Greenwood, loved mother of James (deceased), Thomas, and Grace (Mrs. R. W. H. Kellaway). [S5] Registry of Births Deaths and Marriages Death Index Victoria 1921-1985 "#D3305 age 85 [par William LEE & Betsy BOARDMAN]." [S11] Newspaper - Argus 12 Dec 1927 p13. [S11] Newspaper - Argus 7 Apr 1955, p13. Marriage* Jun 1940 Spouse: William Harland 'Bill' Hudson. [S4] Registry of Births Deaths and Marriages Great War Index Victoria 1914-1920 "#B27076." [S14] Newspaper - The Australasian (Melbourne, Vic. : 1864 - 1946), Sat 6 Apr 1940, p17. [S185] Property Titles. ; PROV (Public Records Office Victoria), C/T 7794-188 - Helen Lesley Hudson of Roundhay Court Berwick Married Woman - C/T 8867-091. [S185] Property Titles. ; PROV (Public Records Office Victoria), C/T 7794-188 - Helen Lesley Hudson of Roundhay Court Berwick Married Woman - C/T 8867-092. [S185] Property Titles. ; PROV (Public Records Office Victoria), C/T 8867-091+092+093 - new title issued - C/T 9360-471. [S15] Newspaper - Village Bell "Issue 135, Aug 2000, p9." [S44] Index of burials in the cemetery of Berwick,. [S13] Newspaper - Herald Sun "12 Feb 2005 - viewed online 13 Jul 2014." 7-044 Hudson William Harland M 93 18/08/2008 3695. [S11] Newspaper - Argus 2 Apr 1940 p8. [S11] Newspaper - Argus 29 Jun 1940 p7. [S11] Newspaper - Argus 14 Feb 1942, p8. Marriage* Jun 1940 Spouse: Helen Lesley Hughes. Death-Notice* 12 Aug 2008 HUDSON. - William (Bill) Harland Died peacefully on August 11, 2008 aged 93 with a life fulfilled. Loved husband of Helen (dec.) and father of Harry, Geoff, Sally (dec.) and Robin. Father-in-law of Jane, Mary, Andrew and Roger. Sadly missed by all his grandchildren and great grandchildren. "I wouldn't change a thing"
HUDSON. 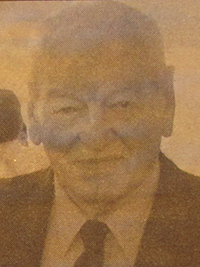 A Service of Thanksgiving to celebrate the life of Mr William (Bill) Harland Hudson will be held at Pioneers Park, cnr Lyall Rd, Peel and Brisbane St's on MONDAY (Aug. 18, 2008) commencing at 2.00 p. m. Prior to the Memorial Service an R. S. L. Service will be held at Tobin Brothers Expressions of Life Chapel, 21 Lyall Rd, Berwick at 10.00 a.m. A Private Burial will follow. Flowers welcome, if preferred donations appreciated to Legacy, envelopes available at the Service. [S14] Newspaper - The Brisbane Courier (Qld. : 1864 - 1933), Tue 3 Nov 1914, p6. [S13] Newspaper - Herald Sun "12 & 13 Aug 2008 (viewed online 12 Jul 2014)." [S218] Newspaper - The Dandenong Journal (1927-1954) "The Dandenong Journal (Vic. : 1927 - 1954), Wed 27 Aug 1952, p4." 26 Aug 1914, ORANGE BLOSSOMS. HUGHES—LANGFORD. VPRS 28/P5 unit 1142, item 723/376. [S11] Newspaper - Argus mentioned in engagement notices of their daughters in 1940 & 1944. [S4] Registry of Births Deaths and Marriages Great War Index Victoria 1914-1920 "#M6735." [S185] Property Titles. ; PROV (Public Records Office Victoria), C/T 4879-738 - Reginald Hawkins Hughes of Upper Beaconsfield Bank Inspector- C/T 5911-034 (Caveat lodged 20 Jul 1927). [S185] Property Titles. ; PROV (Public Records Office Victoria), C/T 5911-034 - Jessie Maude Buckleigh of "Greenvale" Middle Road Beaconsfield Married Woman- C/T 8057-139. [S185] Property Titles. 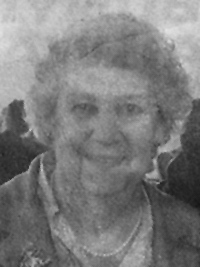 ; PROV (Public Records Office Victoria), C/T 5911-034 - Doris Eileen Jack of Casely Upper Beaconsfield Widow - C/T 8073-788. [S5] Registry of Births Deaths and Marriages Death Index Victoria 1921-1985 "#D20984 age 76 [par Benjamin LANGFORD & Alice SLATER]." [S5] Registry of Births Deaths and Marriages Death Index Victoria 1921-1985 "#D8524 age 85 [par Edward Walter HUGHES & Jeanie HAWKINS]." [S14] Newspaper - Narracan Shire Advocate (Vic. : 1914 - 1918), Wed 26 Aug 1914, p3. [S11] Newspaper - Argus 17 Oct 1914 p13. [S4] Registry of Births Deaths and Marriages Great War Index Victoria 1914-1920 "#B9859." [S11] Newspaper - Argus 26 Jul 1914 p8. [S16] Newspaper - The Age 14 Dec 1944, p4. [S14] Newspaper - Courier Mail (Brisbane), 28 Jul 2011 - viewed online 18 Jul 2014 (Ryerson Index Funeral Notice). [S11] Newspaper - Argus 10 May 1946, p2. Death-Notice* 17 Jul 2014 HUGHES. Gwynneth. Peacefully passed away on July 15, 2014. Aged 93 years. Loved daughter of Reginald (Rex) and Annie (Grace) (both dec.) Loved sister of Sir Edward, Helen Hudson and Consie Crotty (all dec.) Dearly loved aunt of her nieces and nephews and their families. Sleeping peacefully. [S4] Registry of Births Deaths and Marriages Great War Index Victoria 1914-1920 "#B28410." [S13] Newspaper - Herald Sun "18 Jul 2014 - viewed online 18 Jul 2014." [S13] Newspaper - Herald Sun "17 Jul 2014 - viewed online 18 Jul 2014." [S35] Probate Records, PROV (Public Records Office Victoria), VPRS 28/P7, unit 372; VPRS 7591/P4, unit 497. [S80] Ancestry - Family Tree, birthdate: Treloar Burnside Cook Cockburn Edelsten O'Connor - Owner: mertheruny. [S3] Registry of Births Deaths and Marriages Edwardian Index Victoria 1902-1913 "#M9029." [S14] Newspaper - Brisbane Courier: 24 Oct 1913 p6. [S185] Property Titles. ; PROV (Public Records Office Victoria), C/T 1708-500 - Gordon Kinross Cumbrae-Stewart and Frederic Arthur Agnew Cumbrae-Stewart to Henry Harland Hudson of 326 Glenferrie Road Malvern Woolbuyer. [S185] Property Titles. ; PROV (Public Records Office Victoria), C/T 1669-764 - Gordon Kinross Cumbrae-Stewart and Frederic Arthur Agnew Cumbrae-Stewart to Henry Harland Hudson of 326 Glenferrie Road Malvern Woolbuyer. [S185] Property Titles. ; PROV (Public Records Office Victoria), C/T 1100-912 - Henry Harland Hudson of 326 Glenferrie Road Malvern Wool Buyer. [S185] Property Titles. ; PROV (Public Records Office Victoria), C/T 1909-797 - Henry Harland Hudson of 326 Glenferrie Road Malvern Wool Buyer. [S185] Property Titles. ; PROV (Public Records Office Victoria), C/T 1708-500. [S185] Property Titles. ; PROV (Public Records Office Victoria), C/T 1100-912 - Henry Wood Salmon of 82 Glenferrie Road Malvern Furniture Dealer. [S185] Property Titles. ; PROV (Public Records Office Victoria), C/T 1708-500 + 1669-794 - Henry Harland Hudson to Henry Wood Salmon of 82 Glenferrie Road Malvern Furniture Dealer - C/T 7385-978 + 7385-979 (2 certificates). [S80] Ancestry - Family Tree, Cause of death & death date from Treloar Burnside Cook Cockburn Edelsten O'Connor - Owner: mertheruny. [S185] Property Titles. ; PROV (Public Records Office Victoria), C/T 7174-751 - Henry Harland Hudson of Lyall Road Berwick Draughtsman - C/T 8616-578. [S1] Registry of Births Deaths and Marriages Pioneer Index Victoria 1836-1888 "#B359." Marriage* 30 Jan 1948 Spouse: Roberta Wallace Best. St John's, Toorak, VIC, Australia. 31 Jan 1948, Toorak wedding yesterday. St John's, Toorak, was the setting for the marriage yesterday evening of Roberta Wallace, twin daughter of Lady Best, Worane, Glenferrie, and the late Sir Robert Best to Bernard Lionel, younger son of Mr and Mrs H. H. Hudson Glenferrie rd, Malvern. Canon L. L. Wenzel officiated. [S35] Probate Records, PROV (Public Records Office Victoria), VPRS 28/P4, unit 915; VPRS 7591/P3, unit 79. [S5] Registry of Births Deaths and Marriages Death Index Victoria 1921-1985 "#D3965 age 36." [S14] Newspaper - The Brisbane Courier (Qld. : 1864 - 1933), Tue 6 Aug 1918, p6. [S24] PROV (Public Records Office Victoria). [S11] Newspaper - Argus 13 Jun 1941, p5. [S14] Newspaper - Sydney Morning Herald, 21 Aug 1947, p14. [S11] Newspaper - Argus 31 Jan 1948 p8. 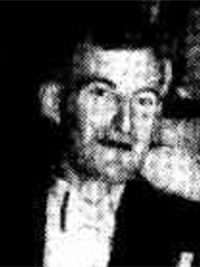 20 Feb 1954, MISS Kathleen Corry, younger daughter of the late Mr. John Corry and Mrs. Corry of Berwick, and Flying Officer Kevin Harnetty, R.A.A.F., youngest son of the late Mr. J. Harnetty and Mrs. Harnetty, of Essendon, announce their engagement today. [S4] Registry of Births Deaths and Marriages Great War Index Victoria 1914-1920 "#B8943 [Berwick]." [S11] Newspaper - Argus 20 Feb 1954 p15. 21 Dec 1933, OBITUARY WM. J. HOLMES. The death of Mr. William J. Holmes, at the age of 67 years, occurred at his residence, “Clovelly,” Beaconsfield Upper, on Saturday, December 9. The deceased, who was born at Wagga, New South Wales, went to the Glen Wills and Omeo district when a very young man, and for some years followed the occupation of a miner there. He also worked at the famous Mount Lyell mine (Tasmania) as a shift boss, for a time. Coming to Beaconsfield about 20 years ago, he followed various occupations, until two years ago, when his health gave way, and he was an invalid from then until the time of his death. He married a daughter of the late Mr. and Mrs. Nixon, and leaves a widow, four daughters and three sons to mourn their loss. The funeral took place in the Berwick cemetery on Sunday. [S3] Registry of Births Deaths and Marriages Edwardian Index Victoria 1902-1913 "#M7752." [S5] Registry of Births Deaths and Marriages Death Index Victoria 1921-1985 "[reg. Berwick]." [S11] Newspaper - Argus 11 Dec 1933, p1. 4-553-B Holmes A. F 23 3/08/1942 1107. Death-Notice* 27 Sep 1951 HOLMES. - On September 25, private hospital, Harriett, dearly beloved wife of late William Holmes, of Upper Beaconsfield, and loving mother of William (A I.F., deceased), Amy (deceased), Louie (deceased), Winifred, Harry, Hannah, Henrietta, and Nixon. - Sweet rest, mother dear. [S5] Registry of Births Deaths and Marriages Death Index Victoria 1921-1985 "#D12499 age 75 [par George NIXON & unknown]." [S11] Newspaper - Argus 27 Sep 1951, p15.